In her new-found casual wear. ... that I totally forgot to upload last week. She looks wodnerful and those sneakers go well with the look. Now Lar is ready to do Yoga! And heck yeah, leotards can be casual wear, anything can be casual wear if you put it on and stick your heiny onto the couch! Seeing your uploads fills me with so much conviction and excitement! 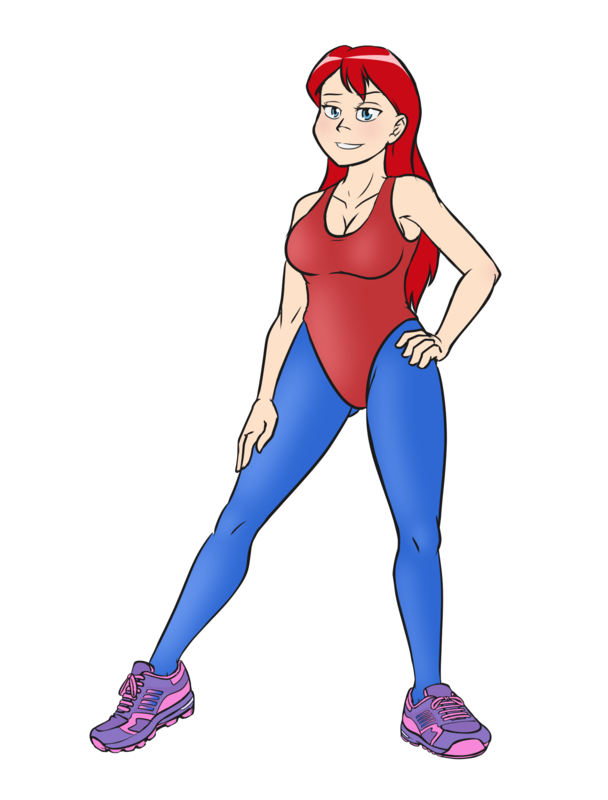 Like I've been wanting to do some sneaker based roleplays! Or start doing some art of my own! Though, I'm terrible at drawing. I think I may just start doing some fetish literature instead, considering I have an astounding way with words, as my associates say. I thank you for being the amazing artist that you are! You have my upmost gratitude, Senpai! I like the design, nicely done. Page generated in 17.9112 miliseconds. 17 Queries.